Love it! 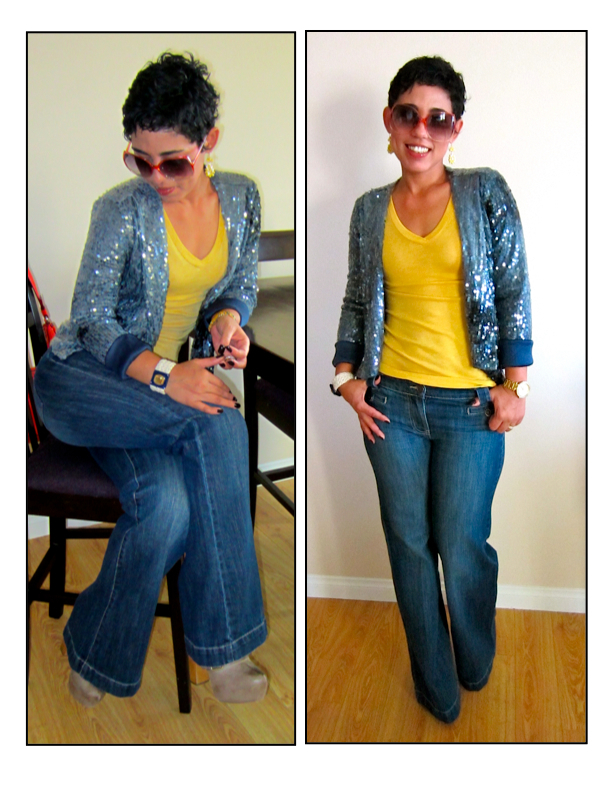 I have a sequin blazer I cant wait to wear! And you went to work quite jazzy too! 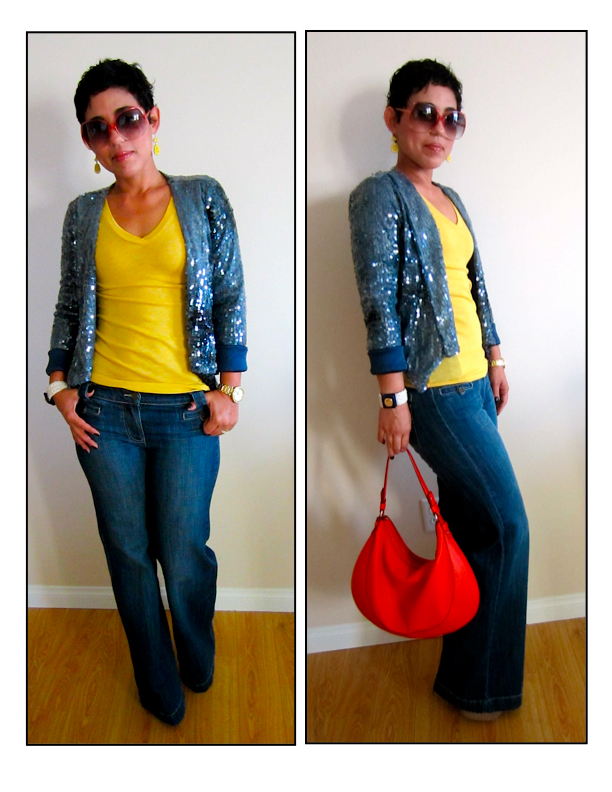 I love the yellow with the blue sequin. 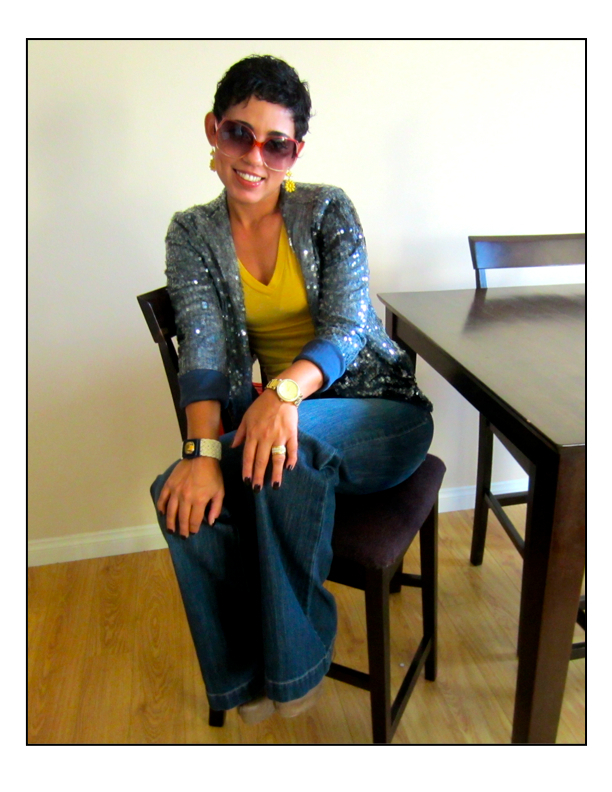 I am also a big fan of flare and wide leg jeans...super cute.